Please call boat owner Donald at 480-567-5964. Great boat that combines the classic look of a genuine mahogany runabout with the practicality of a modern boat. 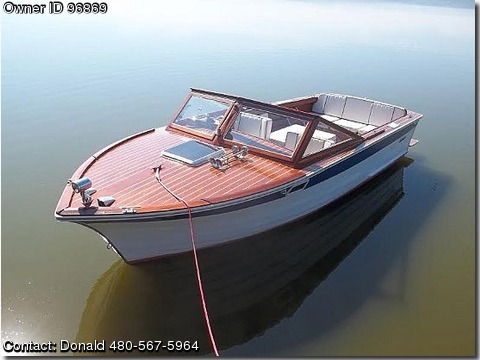 Very nice 22&#39; Skiffcraft inboard with mahogany decks and windshield. Strong FordPleasurecraft V-8, includes 2006 Jerde tandem axle trailer. Nice handling open runabout with seating for 7, KenwoodBose stereo. Includes interior step and swim ladder, swim platform, and cuddy cabin. Built by Amish craftsman for over 95 years and still building new boats.